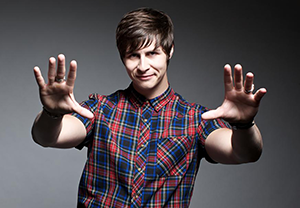 Ben is the writer and star of ITV2’s hidden camera magic show, Tricked, that debuted in October 2013 and is now in its third series, airing this Autumn on ITV2. This mischievous show sees Ben tricking unsuspecting members of the public and shocking celebrities with his own special brand of cheeky magic! Tricked won Best Entertainment Programme at the Broadcast Digital Awards 2014.